Do we all really wish we were living in a Scandinavian country? Last week, I reviewed The Little Book of Lykke: The Danish Search for the World’s Happiest People. I have also read a book about Lagom this month and this immersion into Scandinavian living has me wondering why we are all so taken with it. Both these books were written in 2017 and both have been very popular – we are now just waiting for the Finnish and Norwegian contributions. But back to the book. 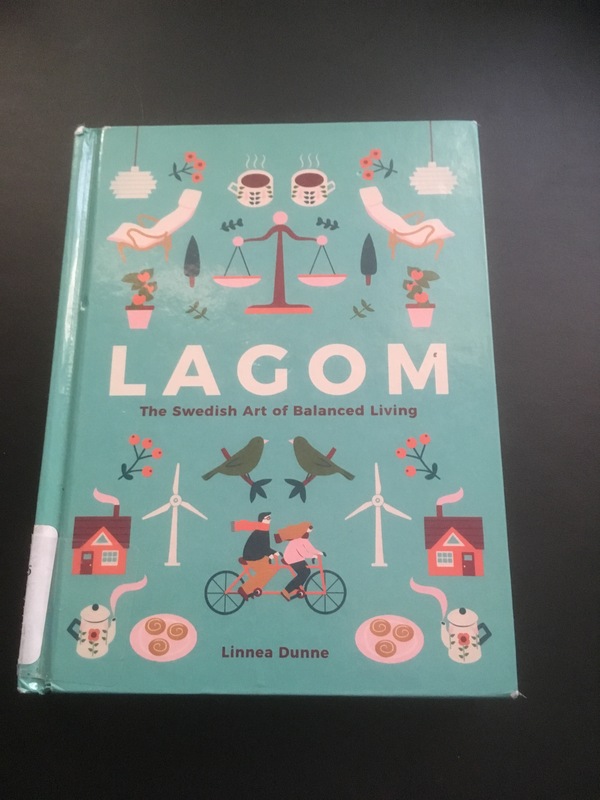 Lagom: The Swedish Art of Balanced Living is an easy-to-read book with beautiful pictures and essays detailing those habits and policies that support Swedes in achieving a balanced approach to life. The advice contained in this small guide covers everything from food and socializing to design. There were many ideas described that are worth adopting for the sake of one’s mental health. As a Cognitive Behaviour Therapist, the nonjudgmental, mindful way of living advocated by Linnea Dunne, a Swede currently living in Dublin with her partner. I was also impressed by the emphasis placed by Dunne on how a lagom approach to life can have a positive impact on every aspect of our lives. Also intriguing was the author’s description of IKEA’s sustainable approach to design and lifestyle, something that is not always apparent from the marketing IKEA has in North America. One of IKEA’s design successes described by Dunne is the Billy bookcase. Goodness knows, I have bought my share of Billy bookcases! This is an excellent small guide to achieving balance. It is easy to understand after reading about lagom how it could promote lykke.